Ceramica Althea was established in 1994 and is today a company consolidated at national and international levels. 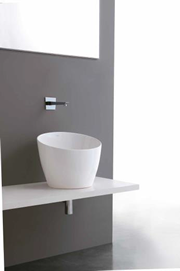 In environmental and performance terms Ceramica Althea ensures standards of excellence. During all the production stages maximum attention is paid to energy efficiency, high performance of machinery, maximum reduction of pollutants released into the atmosphere. Particular attention is also paid to the industrial waste that is recycled and reused in the production process, as well as waste resulting from the treatment of the working mixtures.